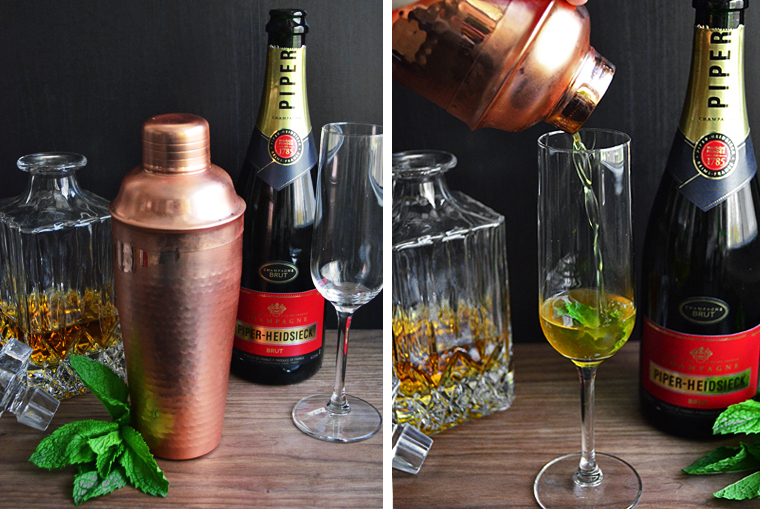 Tomorrow is the Kentucky Derby and what better way to celebrate the “Race to the Roses” than with a Mint Julep! 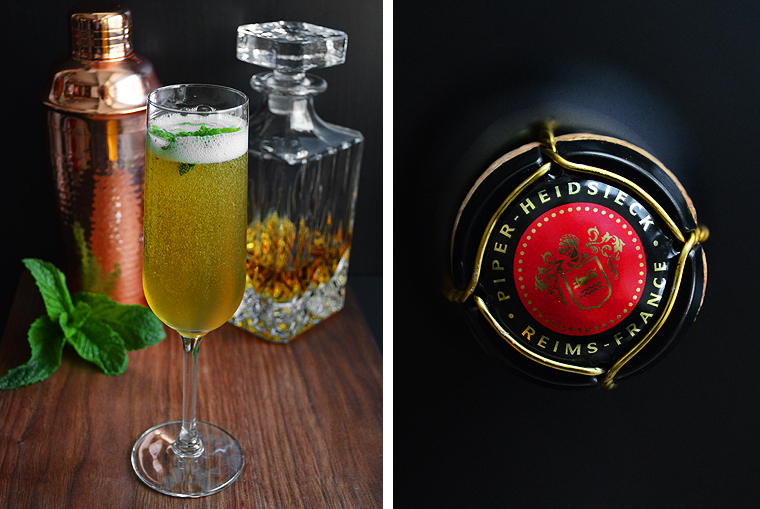 Mine features Four Roses Kentucky bourbon, and it absolutely sparkles with the addition of Piper-Heidsieck Champagne! 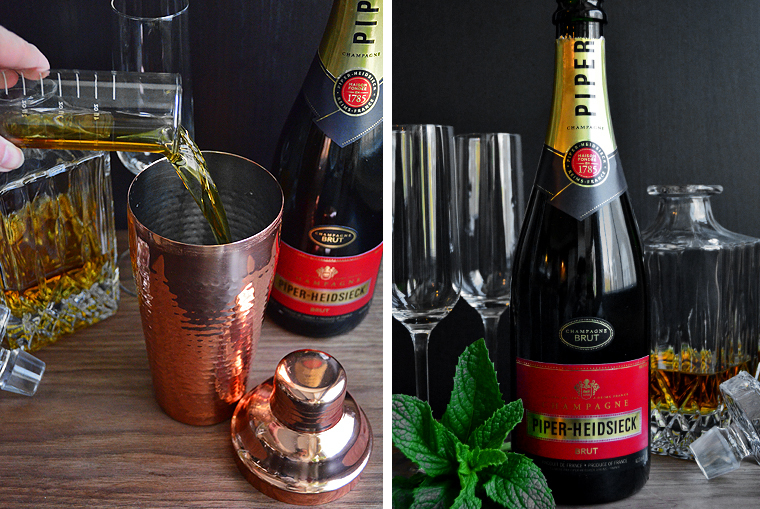 The traditional Mint Julep is easy to make with bourbon, sugar, mint, and water, but it tastes so much better if the water is replaced with chilled Champagne! Even if you’re not into horse racing, floppy hats, and bowties, this is a delicious cocktail that can be enjoyed all summer long. 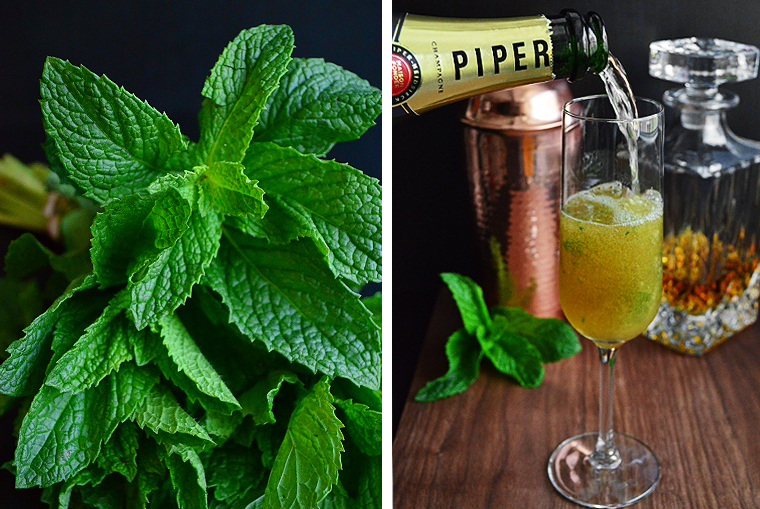 In a mixing glass or shaker, muddle the mint leaves and sugar to bruise them and release their flavor, then add the bourbon and ice, stir and then strain into a champagne flute or cocktail glass, top off with champagne, garnish with mint and serve. 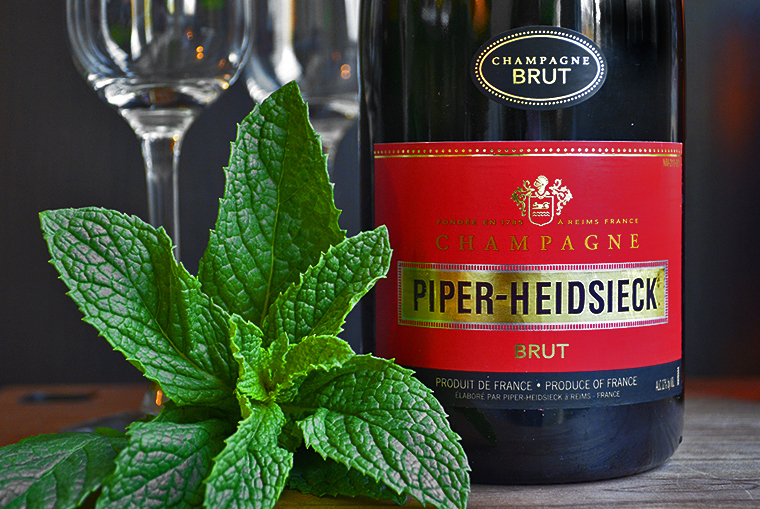 This entry was posted in Recipes and tagged Champagne Mint Julep, Cocktail recipe, cocktails, Kentucky Derby, Kentucky Derby Mint Julep Recipe, Mint Julep recipe, Piper-Heidsieck Champagne, Piper-Heidsieck Champagne Cocktail, Sparkling Mint Julep recipe. Bookmark the permalink.